For the first time since 1995, the Rebels season ends after the 9 game regular season. The Rebels lost their season finale to the Annawan/Wethersfield Titans 45 - 14 Friday night (Oct. 19). The Rebels finished the season with a 3 - 6 record which is the worst record in the Rebels 27 year history. The 1994 team finished 4 - 5 which until this season was the Rebels only losing season in school history. The Rebel Fresh/Soph (4 - 5) ended their season Monday night (Oct. 22) defeating Annawan/Wethersfield (1 - 8) 36 - 6. 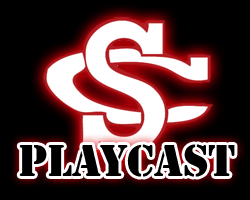 Rebel fans who can not make it to the game can follow the game through SC Playcast. SC Playcast will provide play by play description of the on field action. To follow the Rebels, click on the Playcast icon in the left column. Rebel fans can follow the Rebels on Facebook and Twitter. In game updates for the Rebels will be available through Twitter. Rebel fans may access the Facebook or Twitter accounts by clicking on their icon on the left. Neither the Facebook or Twitter account is associated with screbelsfootball.com. Catch Head Coach Jade Noard every Saturday morning during the season on WKEI Coaches Corner Show (AM 1450, FM 100.1 or by clicking Coaches Corner icon on the left). Coach Noard's interview is scheduled for ~8:45 AM. LTC scores and standings will be updated every Friday night as soon as possible. Check back often for updates.